The Norwegian composer and violinist Nils Økland summed up the spirit of the Big Ears Festival when he spoke to the big crowd applauding his music at St. John’s Episcopal Cathedral in Knoxville, Tennessee. “You come here to hear things you don’t know — alien things — from places you don’t know, by people whose language you do not know,” said Økland, who was playing in the United States for the first time ever. He seemed to marvel at the rapturous reception he was getting. Every pew was filled for that concert on March 24, as afternoon sunlight streamed in through the big stained-glass windows. People stood along the walls and sat on the floor against the back wall so they could hear Økland and his band. His gorgeous music glowed, all of the instruments combining into an organic whole. There was something transcendent about it, and the church felt like a perfect setting for Økland’s American debut. This is the sort of moment that makes Big Ears so special. The annual festival in downtown Knoxville features indie rock music — this year’s acts included Wilco and the Magnetic Fields — but the diverse lineup runs the gamut from folk and jazz to classical and experimental music. The emphasis is on adventurous music. 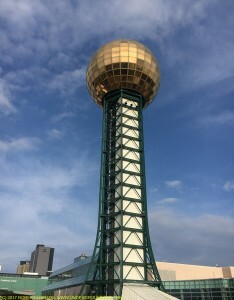 I attended the first Big Ears Festival back in 2009 and I’ve been wanting to return ever since; I finally made it back to Knoxville this past week. 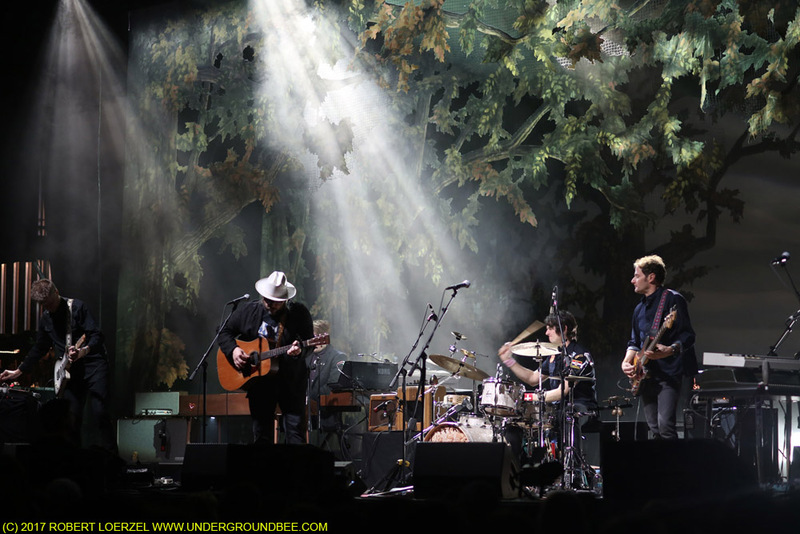 My experience reaffirmed Big Ears’ standing as one of the most interesting and enjoyable music festivals. 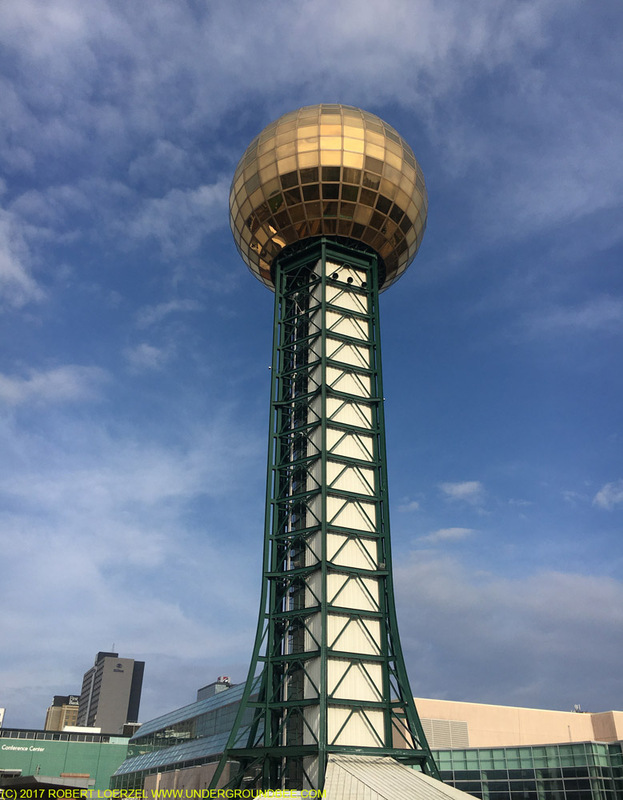 This year’s festival was four days, with concerts at nightclubs, theaters and churches spread out across downtown Knoxville (a city known for hosting the 1982 World’s Fair). While some of the venues fill up for certain shows, it’s a fairly mellow event as far as the audience goes. 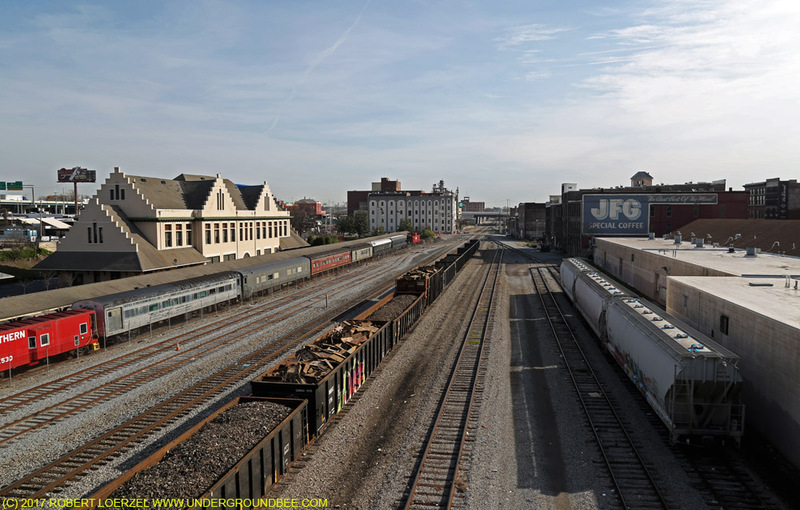 It’s easy to walk between the venues, and you aren’t likely to get shut out of too many concerts. 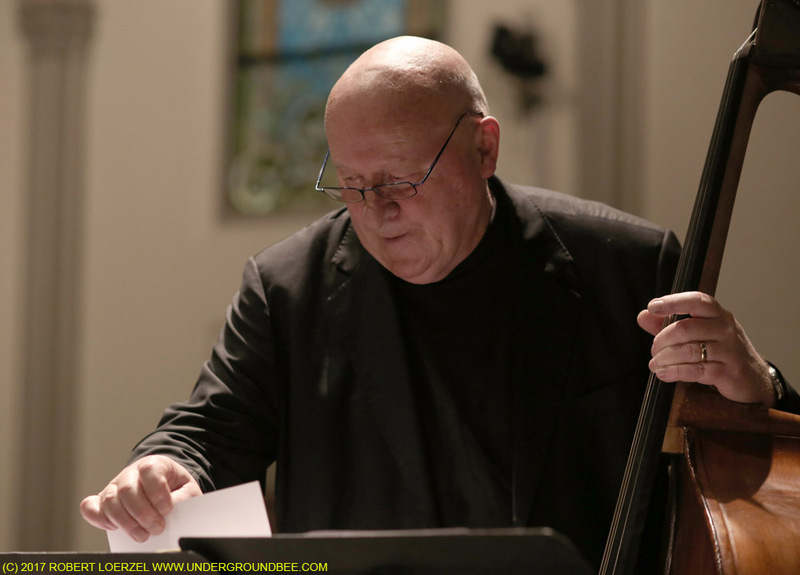 Another star attraction at this year’s Big Ears was the English minimalist composer Gavin Bryars, whose ensemble was playing in the U.S. for the first time. 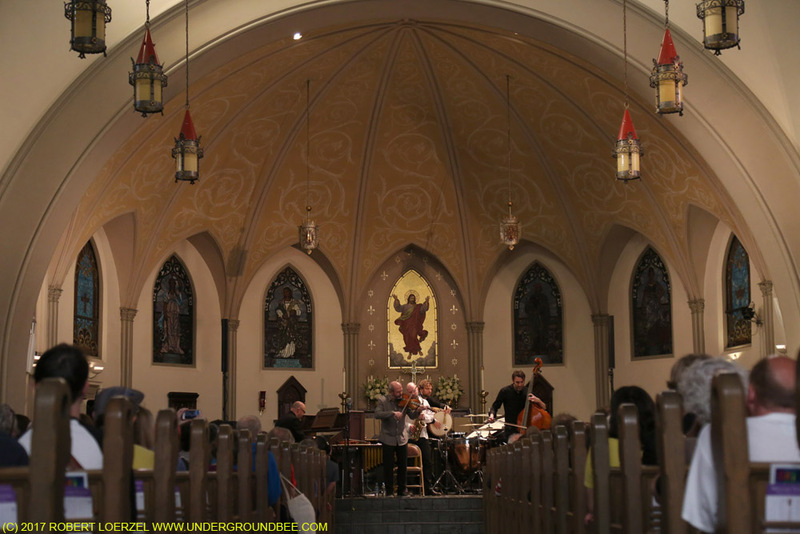 I saw part of the ensemble’s concert on Saturday, March 25, at St. John’s Cathedral and two full concerts on Sunday, March 26, featuring Bryars’ most famous works: Jesus’ Blood Never Failed Me Yet and The Sinking of the Titanic. In addition to Wilco, highlights of the rock music at Big Ears included Xiu Xiu devoting an entire concert at the Tennessee Theatre to Angelo Badalamenti’s music of David Lynch’s Twin Peaks TV series. My Brightest Diamond’s Shara Nova (formerly named Shara Worden) returned to her rock-trio roots during her set, while Blonde Redhead played its 2004 album Misery Is a Butterfly with accompaniment by the American Contemporary Music Ensemble. Scottish composer Anna Meredith’s band played an invigorating set that combined classical minimalism with rock. Chicago’s Tortoise delivered a strong set of its instrumentals. And Robyn Hitchcock was as great as usual, opening his set with covers of the music that influenced him as a young songwriter (Bob Dylan, the Beatles and Syd Barrett). Singer-songwriter Joan Shelley sounded as beautiful as ever, previewing some of the music from her forthcoming album. After years of making instrumental records, Colleen (aka French musician Cécile Schott) sang delightful songs, playing the viola de gamba, melodica and keyboards. Gyan Riley’s solo acoustic guitar performance was stunning. And the Swedish musician Emilia Amper’s performance on the nyckelharpa — including an explanation of this bowed instrument with keys — was throughly enchanting. 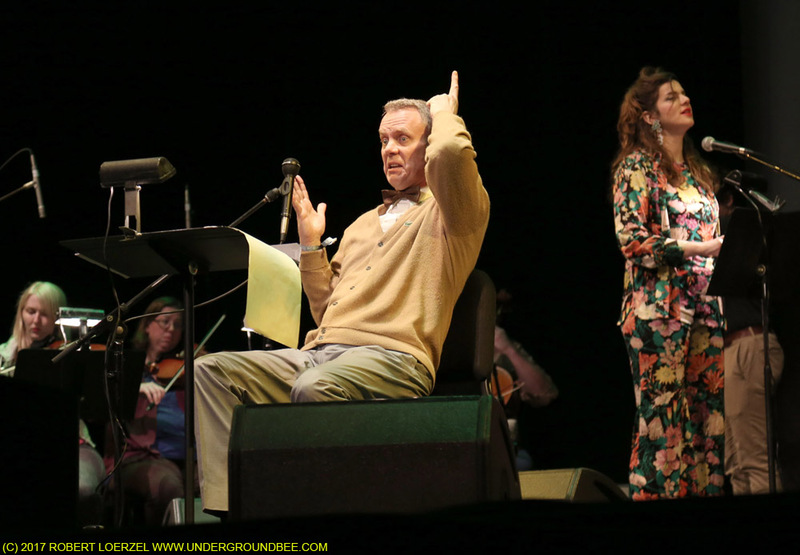 The experimental electronic music duo Matmos covered the 1979 Robert Ashley album, Perfect Lives (Private Parts), which is described as an opera, with assistance from several musicians and singers. With a fractured narrative delivered as spoken word, it was a perfect fit for Matmos’ sense of humor and musical textures. 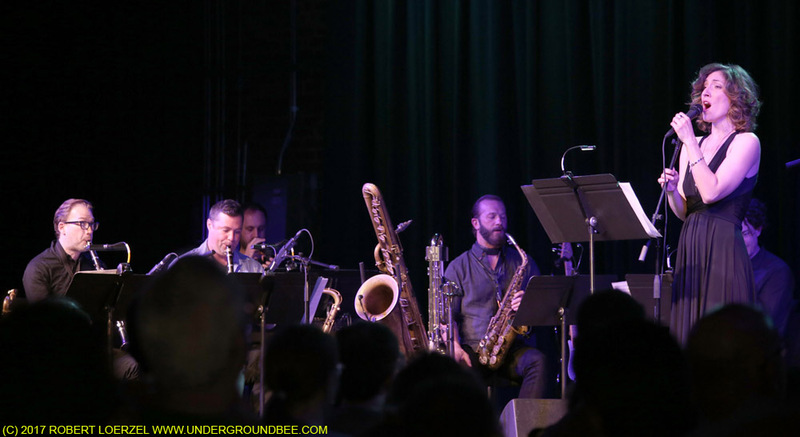 On the jazz side, I saw Carla Bley leading the Knoxville Jazz Orchestra, as well as sets by Henry Grimes and Pulitzer Prize-winning Chicago composer Henry Threadgill. It was fascinating to hear the instruments in their bands talking to one another. The Scandinavian group Supersilent combined jazz elements with ambient noise for a powerful and dark late-night set on Saturday. 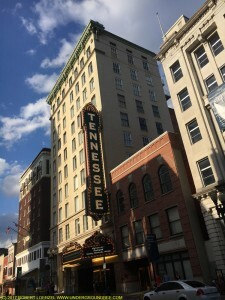 Coming out of that show, I stopped into the Tennessee Theatre and watched about half an hour of the Coen brothers’ movie No Country For Old Men, with an improvised score by the Dave Harrington Group. 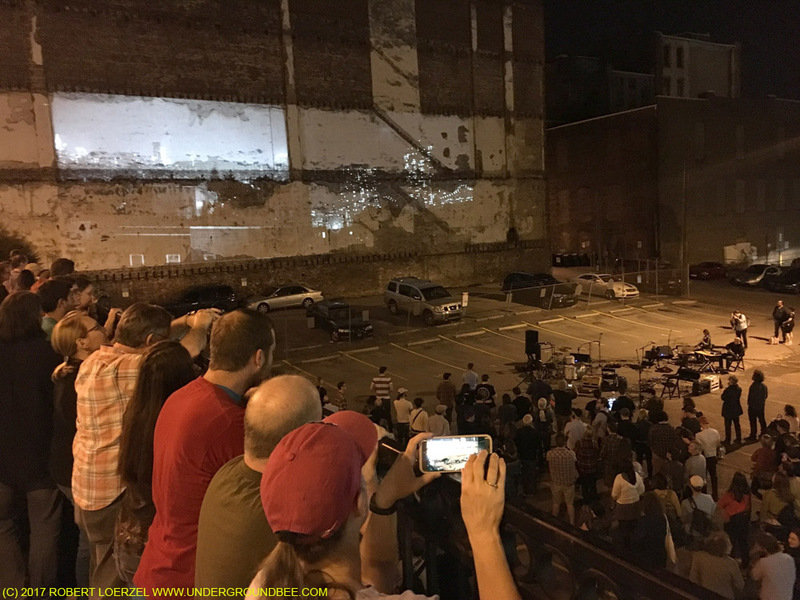 Another intriguing cinematic experience happened earlier that night, when films by Jem Cohen were projected onto the walls of a building in downtown Knoxville while musicians (including Xylouris White) improvised a score. The event, called “Gravity Hill Sound+Image,” attracted passers-by along with festival attendees. 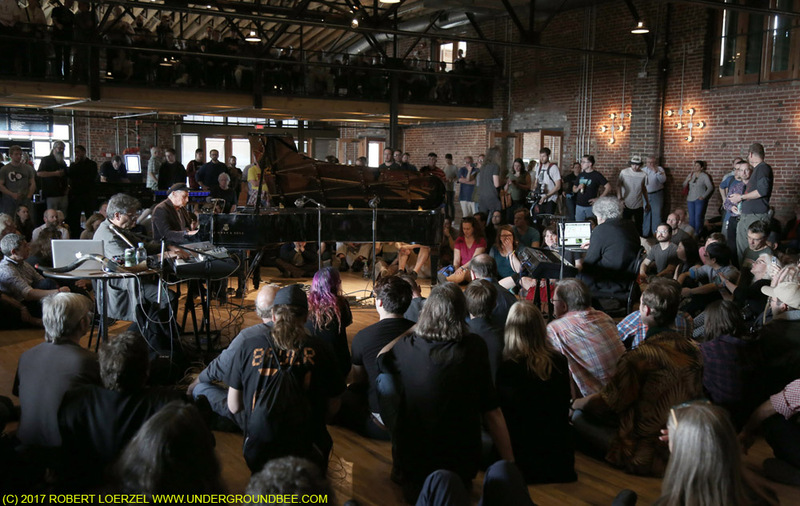 The Mill and Mine, a venue in an industrial building with a wide open floor, proved to be a great place for classical music as well as rock shows. For several shows at this place, a Steinway piano or other instruments were placed in the middle of the floor, with audience members gathering around the artists. This was a great way to experience Bang on a Can All-Stars pianist Lisa Moore’s performances of works by Philip Glass, John Luther Adams and others. And it was also the setting for a bracingly weird set of noise and piano by Musica Elettronica Viva, an avant-garde group that started back in 1966, featuring Alvin Curran, Frederic Rzweski and Richard Teitelbaum in this performance. And the Knoxville Symphony Orchestra also performed on the floor, giving listeners and opportunity to circle around and see the tympani and cellos from an unusual perspective. Other noteworthy classical performances at Big Ears included Icelandic composer Jóhann Jóhannsson’s Drone Mass, performed by the American Contemporary Music Ensemble and Theatre of Voices, conducted by Donato Cabrera; the radical vocal experiments of Meredith Monk; and dynamic performances by cellists Oliver Coates and Maya Beiser. A highlight for me was Sorrow, Colin Stetson’s “reimagining” of Henryk Górecki’s 3rd Symphony — essentially, a new arrangement of that symphony, which became a million-selling hit (and a personal favorite of mine) in 1992. Stetson is a wizard on alto and bass saxophones and contrabass clarinet, so naturally, his version of Górecki’s composition uses more woodwinds than the original. It also has electric guitar and drums. But while the textures are different, it doesn’t wander too far from the original symphony. Stetson’s sister, mezzo-soprano Megan Stetson, sang the Polish-language lyrics of Górecki’s “Symphony of Sorrowful Songs.” Stetson’s Sorrow was stirring to see and hear in a live performance.